Have you ever had one of those days where you’re constantly challenged to stand your ground? Where you just know in every fiber of your being that holding your ground is not only Important for You personally but for all of humanity in regards to healthy, empowered evolution? This is often how I feel as an empowered and liberated soul living on a planet with so many hurting and enslaved humans. Deep within my heart I understand why hurting humans do what they do. Why they seek to control and enslave one another. I used to dwell in these lower frequencies as well, spent most of my lifetime there in that heavy, swampy suffocating energy. But No more. Like any soul that has chosen freedom and liberation there was a cost for my freedom. Choosing freedom cost me many false and misaligned, dysfunctional relationships. A cost that I would gladly pay over and over again. Choosing freedom and liberation cost me my insecurity. No longer could I play the victim, or the ignorant one. No longer could I play the game of blind, deaf and dumb. It just wouldn’t work with me any longer. Once I saw the destruction of choosing to live an enslaving life I couldn’t go backwards, I couldn’t remain unconscious another moment. What I gained was far greater than any cost. I gained my own soul. I gained true Freedom and Liberation. I gained my complete awareness, intelligence, expression and Oneness with Source God. I gained true power, my true voice! It’s easy for many to walk the path of ignorance and unconsciousness for it requires no awareness, no true power or strength whatsoever. Many humans choose this path because they still haven’t honored the Divinity within themselves. Therefore, they still feel they need other humans’ approval and permission. Yet, once a human has truly Awakened and truly seen through the misaligned behavior of the many that seek to control them, walking in unconsciousness will never FEEL right again. This path is the path of enslavement. The path of Freedom and Empowerment is a very different path indeed, a path that requires All of your Awareness, All of your Strength and Consciousness. This is the path for the courageous, those who know themselves. Those who are not afraid to stand out, to stand up and speak their truth regardless of what other humans think of them. These souls are truly free and liberated. They speak from the wisdom of their souls, they move with the power of nature, they flow with the power of the Infinite Source. They cannot be held down, controlled or manipulated. They SEE clearly, they trust what they Know and FEEL. They are FREE!!! Nothing can contain a soul that knows it’s already free. Nothing! Here’s the deal, do you choose to live with such courage and freedom and liberation? 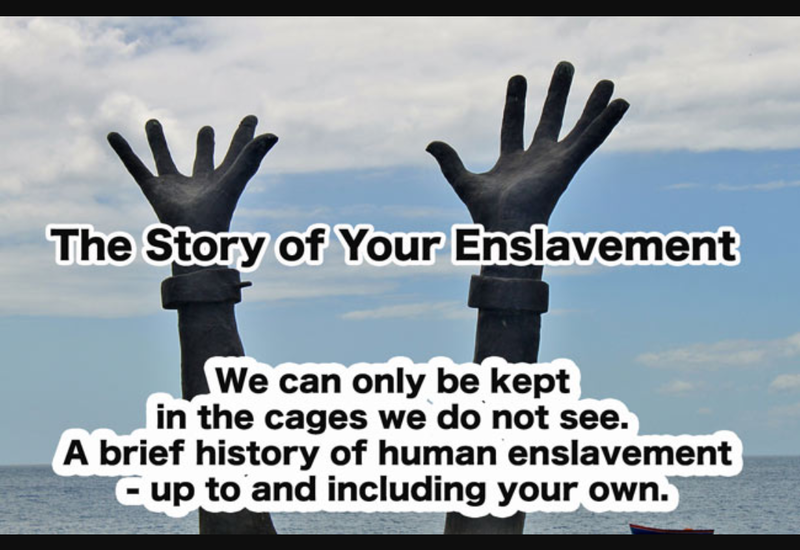 Or do you choose to continue living the path of enslavement? The interesting thing is that all souls who choose to walk the path of enslavement will seek to control and enslave others who do not do as they say, who do not express as they feel they should express. It is a subtle yet powerful shift that occurs. 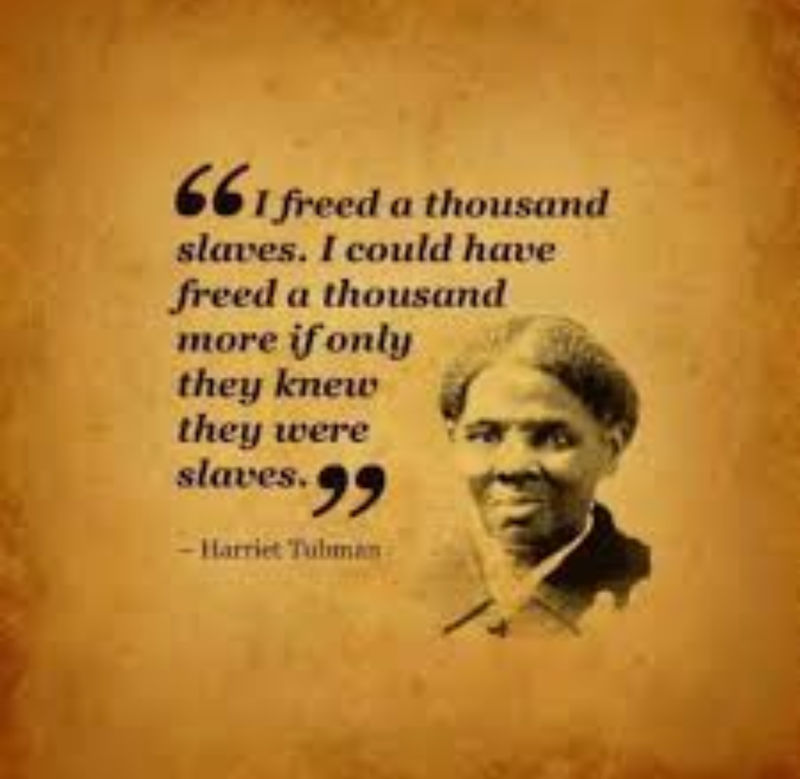 Be mindful that You are truly living as a free and empowered being, that you are not losing yourself in the misaligned game of enslavement that runs so many human lives. I choose Freedom and Liberation! 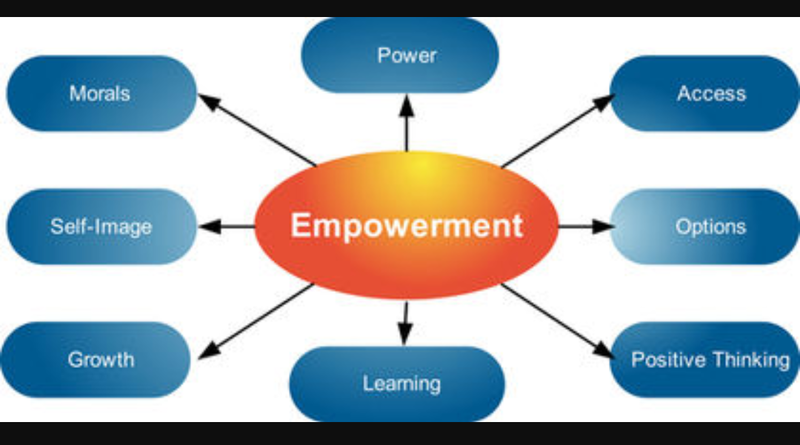 I choose Expansion and Empowerment on the path of Evolution. What do You choose? Everything you do, every word you speak, every action you take is either enslaving or empowering. Choose wisely my friends. Not all shackles can be seen, but they can always be felt! I was guided intuively to draw a Sacred Rebel card right after channeling this Divine message here is the Perfect Card of Confirmation I drew enjoy! Thank You Spirit for your Beautiful and Divine Guidance and Confirmation!!! You are being asked to honor the legacy of light that is your sacred Birthright. Take nourishment and support from those that have come before you-your ancestral lines not only in blood but also in spirit. Perhaps these are the beings that have inspired and motivated you to live as a sacred Rebel, from your heart and with belief in yourself. The more you are nourished by this Legacy of light from your past, the more you become a bearer of the Legacy for those that will be supported by your light in the future. This is a sacred endowment from the great Universal source of light to humanity. It is the light of wisdom, creativity, radical courage, love and respect that is passed down from the heart of each generation to the next. The legacy of light is your spiritual Birthright to refine and shine your essence into the world…To be like a sun, radiant and unapologetic of your nature. 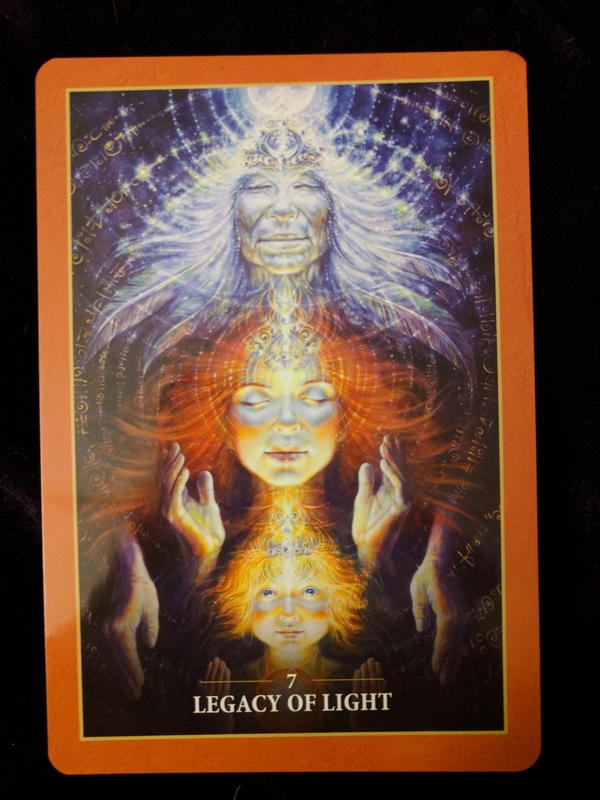 The Oracle of legacy of light comes to you when you need confirmation that a creative choice you are making, or have made, or soon will make, is one that is in alignment with your sacred purpose and spiritual path of healing and growth. The legacy of light cannot be ignored without some detriment to your sense of well-being. If you were asking about a particular question and Drew this card, then part of the answer to your question is that the issue at hand is one of utmost importance to your spiritual growth. Even if it seems like a relatively insignificant question, the energy around this matter is relevant to your sacred Birthright to shine. Perhaps you need to trust more, to know that all is well, no matter what appears to be, and to ask for help, and believe that you deserve to receive it. The legacy of light also asks you to call on the unconditionally loving support that exists for you, every day. This light will offer you all manner of assistance. To not call upon it is like starving because you believe you have no means to acquire food, whilst a feast lays before your eyes-If only you would partake of it! Perhaps you worry that you were asking too much of those who wish to assist you. However, this is a mistaken belief. Those beings of unconditional love who assist us spiritually each day need to shine just as we do. When they are embraced for their purpose-to assist with the spiritual growth of humanity through unconditional love- they too become a part of the legacy of light, shining bright with love and helping to illuminate the world. Although you may doubt your goodness at times- and being human does mean there will be some very dark moments on your path- this Oracle affirms that you were coming from Love, with the pure intention to Simply live your life and do your best in the circumstances in which you find yourself. You are being asked to Avail yourself to the help that is awaiting your request so that your own light can become a part of the greater shining Legacy of divine Brilliance made manifest upon Earth. This oracle is also guiding you to something in your family history or spiritual ancestry that is relevant to you now. Your spiritual ancestry can be recognized through the traditions and cultures you are intrigued by and interested in. They do not have to be the same as the spiritual Traditions that you were raised with in this lifetime, although they may be. The influence of your family history and or spiritual tradition may be encouraging and constructive but it may also be holding you back. Sometimes we unintentionally absorb the hidden fears of our parents or our religious upbringing, such as the belief that dreams cannot manifest or that we have to compromise to the point of losing what makes us feel truly alive. If you can relate to this or want healing just in case it is happening beyond the level of your conscious awareness, simply complete the healing process below. If you are involved in a group project, this oracle is asking you to stay true to the Heart of why you began working together in the first place and to seek assistance, protection and guidance from a source that loves all of you unconditionally. You can do this through the healing process below. Finally, if you need a jolt to recognize that you are a creative being, entitled to explore your ingenuity- perhaps through taking a class or pursuing your own artistic interest at home- then this oracle brings the particular guidance that, “yes, this is a part of your life path,” and you’re encouraged to take it further. You’re also acknowledged through this Oracle as having some special creative and healing offering to make to the world in this lifetime. You will leave a legacy of light for the greater good upon this planet and you will be lovingly supported in many ways by the great creative Universal intelligence when you ask for help. If you don’t know how to do that, just complete the healing process below. Place your hands in prayer at your heart and close your eyes. Bow your head to your hands and imagine, sense or perceive that a beautiful golden light Pours Down from the center of the universe and into the top of your crown. It then flows slowly down through your head and into your heart, all the way down through your body and out to the soles of your feet. Grounding you, anchoring you, supporting you. When you’re ready, simply open your eyes and you have completed your healing process.